It was yesterday April 1st but it’s not a joke! We, the Kinderen van Møkum (Children of Møkum), were told yesterday that we won the lawsuit against the State. On February 22nd, the Klokhuis, building squatted by the Kinderen van Møkum on sunday september 30th 2018, received a letter of eviction from the public prosecutor. This despite the fact that the building has been empty since the beginning of this century, has been squatted several times and the owner would continue speculating if we were to leave. To fight this, we filed a lawsuit against the State and went to court with more than thirty young people. Here we have argued for a complete ban on eviction and this has been granted to us! Hooray! The Kløkhuis Amsterdam may stay! Big thanks to everyone who supported us! 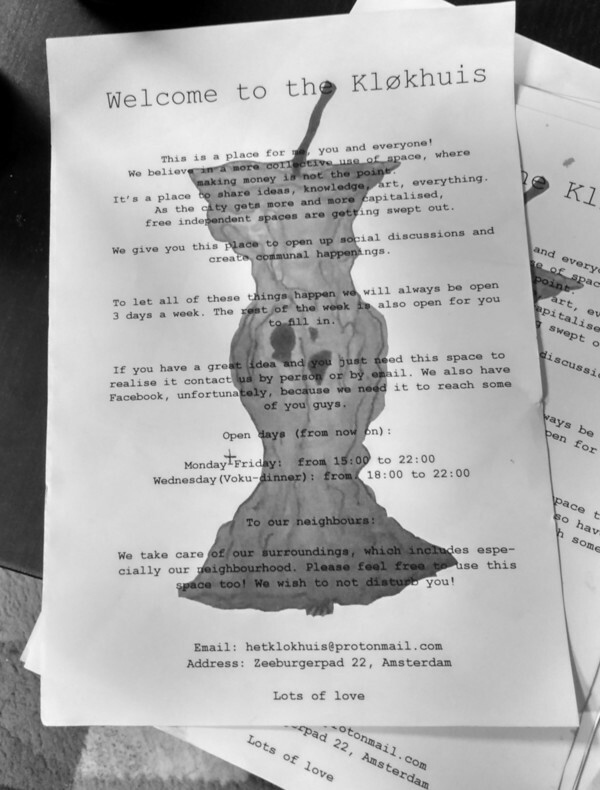 The Kløkhuis squat threatened by Hagatex BV, the textile company of Maged Hagagg. On 30 September 2018, we squatted an empty building, the Kløkhuis, on the Zeeburgerpad 22 in Amsterdam. The building, owned by Appelbeheer BV since the end of 1990, has been rotting away for the most of the time. The building has been squatted several times since then. The building has finally been taken back into use by us as a social place and living space. We had to clean the terrible mess left inside and throw away more than a hundred garbage bags of waste. This was the state in which we found the property, a complete ravage. And yet on 16 December, we received a very informal letter stuck on the door. 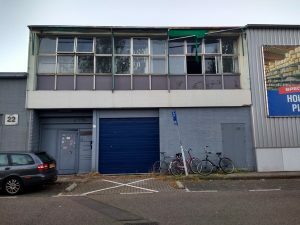 In this letter Hagatex BV claimed that it is their business premises and that if we had not “delivered and evacuated” the next day before midday the police would take us by force out of the building.